SINGAPORE - A new Malay-Muslim social, cultural and heritage hub will open its doors next month to the public. And among the first events the new Wisma Geylang Serai will hold are the Hari Raya bazaar and light-up on May 12, before the start of the fasting month on May 17. The Wisma Geylang Serai will house facilities such as the Geylang Serai Community Club, the Geylang Serai Malay Heritage Gallery and the South East Community Development Council. The hub will also have senior and childcare centres, a family service centre, a culinary studio, reading rooms, as well as food and beverage and retail outlets. At the topping-out ceremony for the hub on Sunday (April 8), Senior Minister of State for Defence and Mayor of the South East District, Dr Maliki Osman, said that Wisma Geylang Serai "is a symbolic realisation of the unique spirit and heritage of Geylang, but with a modern twist". Wisma Geylang Serai sits on land about the size of a football field and stands beside the landmark Geylang Serai market. The hub's unique architecture stems from its roots as the site of the former Malay Village. Key features from the village, such as wood panels from the original building, have been incorporated. The Malay Village shut in 2011 after 23 years. It was meant to preserve and raise awareness of Malay heritage, showcasing the lifestyle of local Malays before the 1960s. The Wisma Geylang Serai was commissioned to replace it. Last year, the hub won the Building and Construction Authority’s platinum Green Mark award, which is given to sustainable buildings. Dr Maliki outlined his hopes for Wisma Geylang Serai to be a one-stop space for cultural and community events. He said that the hub will provide opportunities for small businesses to showcase their products in push carts and pop-up spaces. Arts and dance studios have also been carved out in Wisma Geylang Serai to appeal to arts groups, he added. 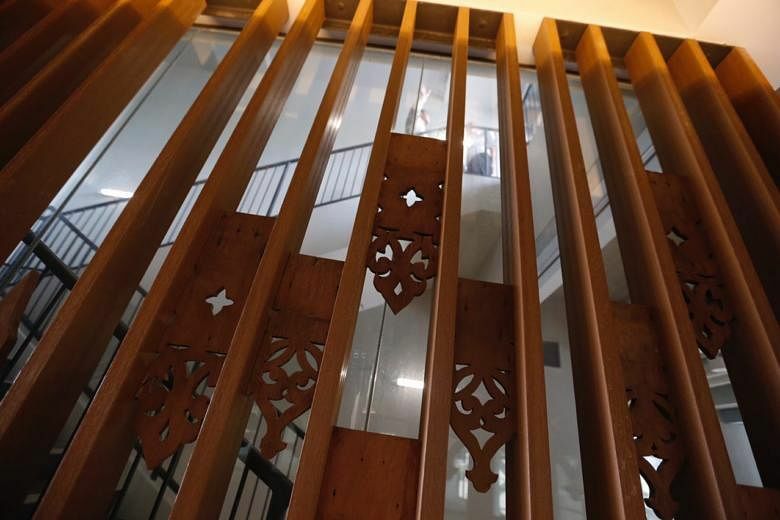 An MP for Marine Parade GRC, Associate Professor Fatimah Lateef, who was also at the ceremony, said she hoped the "trendy space" could appeal to younger people as well. Others at the ceremony included Minister in the Prime Minister's Office Chan Chun Sing, adviser to Marine Parade GRC Seah Kian Peng and head of People's Association Desmond Tan. While the Wisma Geylang Serai is focused on promoting Malay heritage and culture, Dr Maliki said that it is still targeted at all Singaporeans. "(It) aims to provide spaces for communities to come together, and different groups and different people are most welcome."